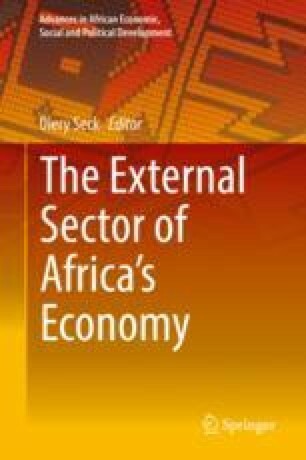 The paper sets out to determine the extent which West African economies are integrated, their take in the global value chains and some important parameters which could influence their trade flows given the perceived structural heterogeneity amongst them. The findings and results from the West African Enabling Trade Index, their participation in Global Value Chains and estimated simple gravity model among others suggest that trade performance of the subregion did not sufficiently improve. Second, access to trade finance and identifying potential markets and buyers were among the most problematic factors that inhibit export trade in the region. The implication is that reducing these barriers will enable trade contribute to prosperity and welfare. Rising depth of integration in the sub-region, though marginal, is associated with rising income over time. As such, if the sub-region were to pursue a strategy of development anchored on integration and laced with value chain creation, income levels could improve as they acquire new capabilities and diversification In addition there is evidence of economic size (GDP) and geographical nearness (proximity and infrastructure) of West African economies to be very significant in inter and intra-trading. The paper recommends that the West African region rather than be overwhelmed with observed limitations, the subregion should leverage on its enormous potential to integrate into the global value chains. This can be achieved through deliberate efforts to build developmental states, promote export diversification, enhance structural transformation and harness the dividends of its demographic transition. It is only then, trade for inclusive development and equity can be achieved; else, the ‘Africa is rising’ paradigm would be a mere slogan associated only with its rising population as well as rising export commodity prices.